Learn about market systems and how TechnoServe makes them work for people and communities facing poverty. 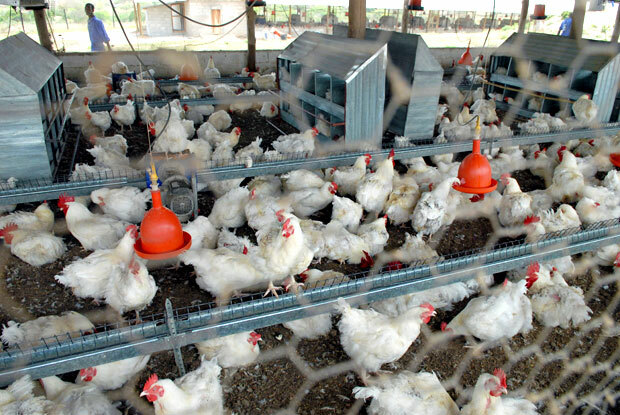 One example where TechnoServe has experience is the poultry market system. At one end of the system are the producers who grow chicken and eggs for sale; on the other end are the consumers who eat them. But in between are many other participants who supply the industry or influence the business environment. Understanding how all the participants interact is a crucial step in strengthening the market system. 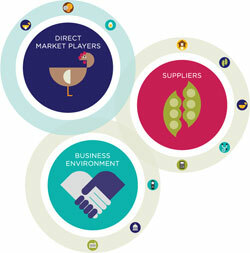 Learn more about the different players that make up the poultry market system.